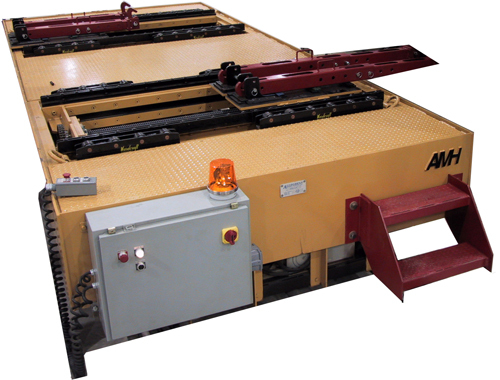 Die Handling Equipment by Allegheny Material Handling, Inc.
Allegheny Material Handling offers a wide range of Die Handling Products specifically designed for the unique needs of both stamping and molding. 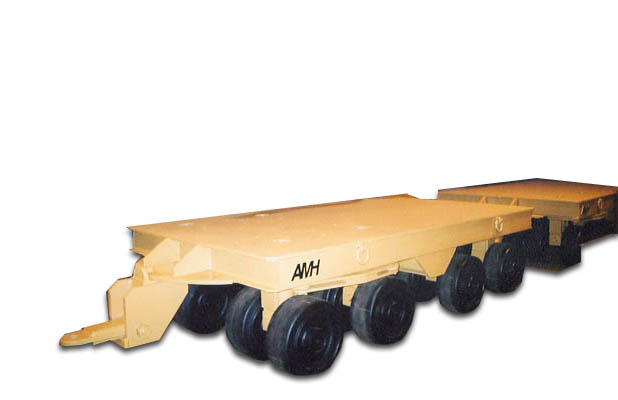 These products include Die Trucks and Die Transfer Cars, Die Trailers, Die Separators, Racks and Quick Die Change Systems. 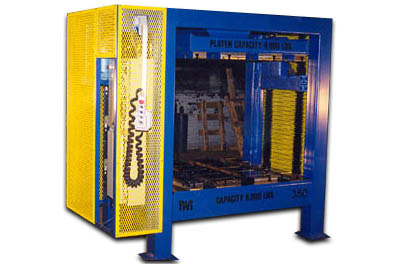 Our line of Die Carts and Transfer Cars are designed to both transport a die or mold from die storage or maintenance to the press line and secondly to load the die into the press. 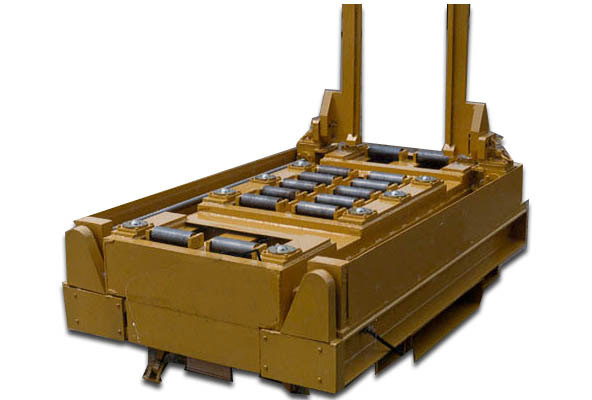 Our Die Trucks are solid tired vehicles, battery powered and operate similar to a conventional fork lift truck. 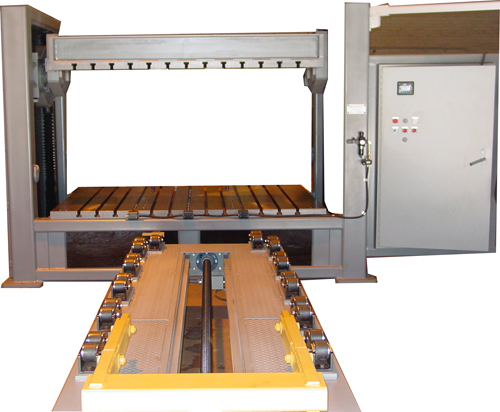 Our Die Transfer Cars operate on rail and travel along side the press and move from die storage to the press. 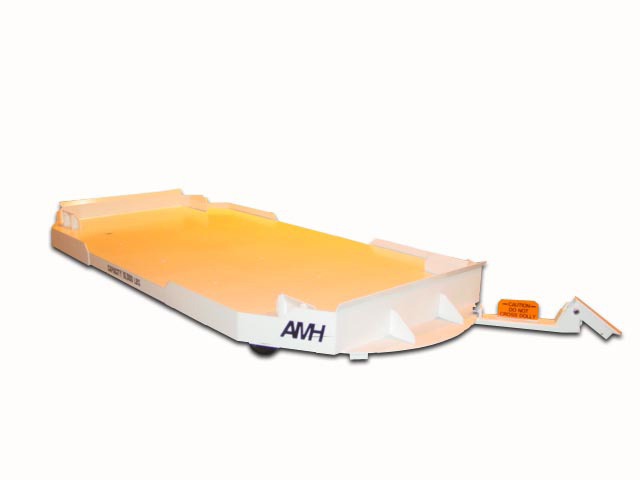 These units operate on either battery or AC power supply. 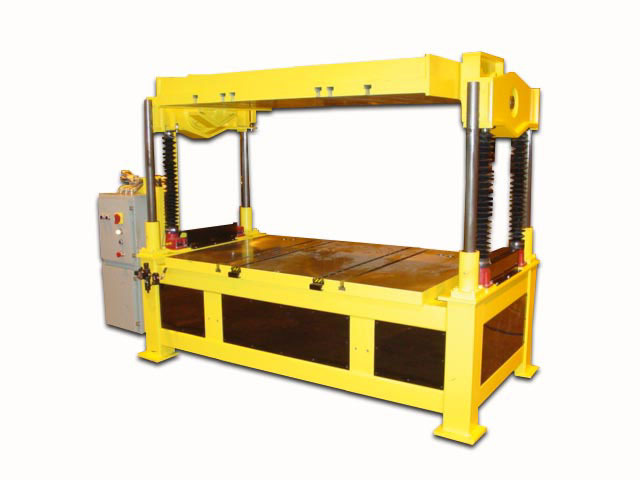 All units are designed to both push and pull a die from the press and can be equipped with a wide range of "lift" features. 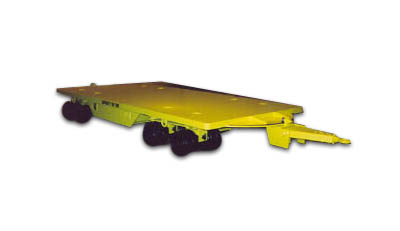 See our "Transfer Cars" page for a detailed description of designs and features available. 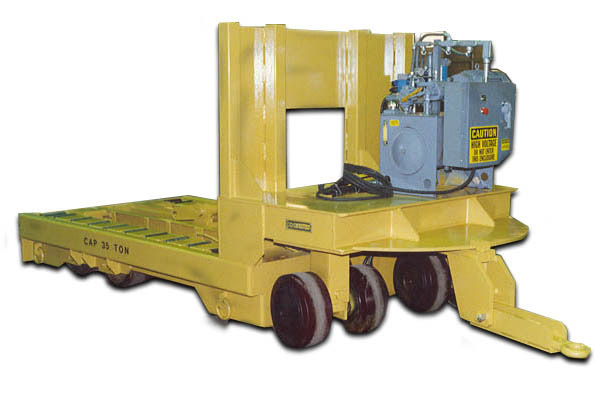 The Die Trailer is utilized to transport a Die or Mold from storage or maintenance to the press line. They are loaded and unloaded by overhead crane. 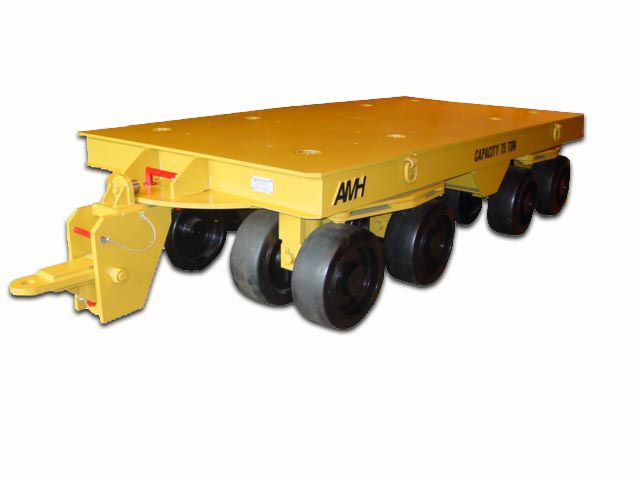 These units are normally designed to have a deck height as low to the floor as possible and are equipped with all wheel steering. 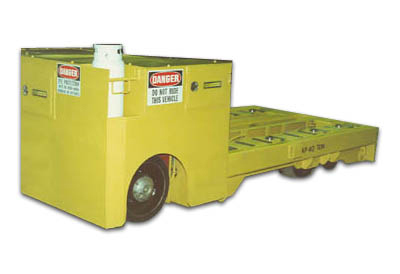 See our ''Industrial Trailers" page for a detailed description of designs and features available. The most unique and innovative product we have developed over the past 10 years is the Die Separator. 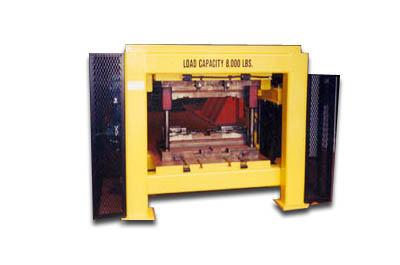 The Die Separator is used to separate the upper die half from the lower for periodic maintenance. 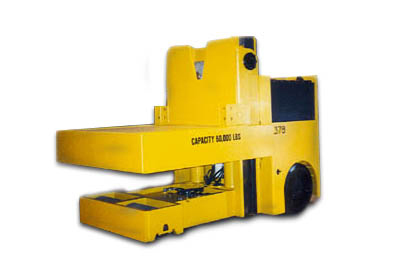 The Die is loaded into the unit with a fork lift truck or a Die Truck. It is positioned on the bolster with the use of alignment pins. 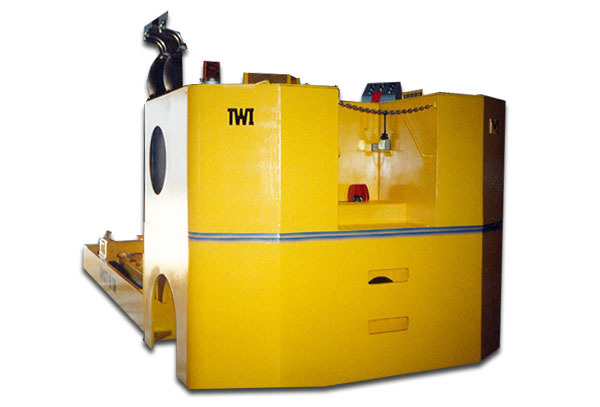 The bolster is equipped with "air bag die lifters" allowing the die to move on rollers. Once the die has been positioned and clamped, the upper platen is lowered down to the top of the die and clamped. 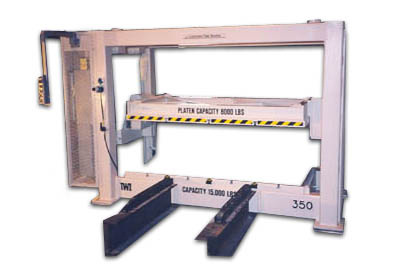 Using a powered lift arrangement, the platen is raised thereby separating the upper and lower die sections. Once the die is separated, the lower half is moved off the bolster, allowing the platen to lower. 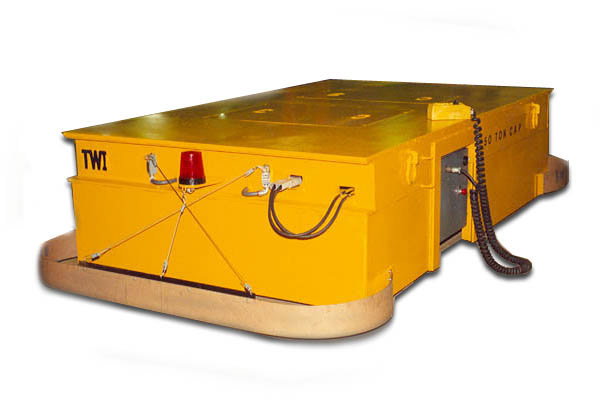 The platen is rotated 180 degrees allowing the upper half to be serviced. When the service on the die is complete the two halves of the die are put back together and the assembled die is removed from the unit. 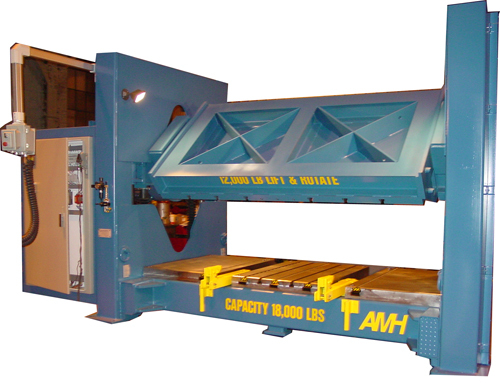 Our Die Separator has a proven record as a safe and cost efficient method to perform periodic maintenance for your dies. "Quick Die Change Systems" Our Die Handling Products are designed to be used together providing a basis for a integrated Die Change System. 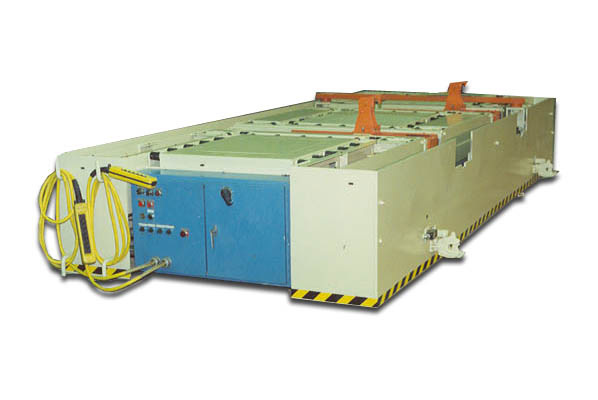 A number of Die Transfer Cars can be used along a press line to move a die from one press while loading a die into a press on the opposite side of the unit. Other systems will have a number of Die Racks located along a press line allowing our Die Car to pull a die from a rack, move and pull an old die from the press and replace it with a new one and then place the old die onto a storage rack. A hand held pendant control is provided for both the vehicle travel and push/pull functions of the unit. Allegheny cars and also available with semi-automatic and fully automatic control systems to meet the needs of specialized applications.